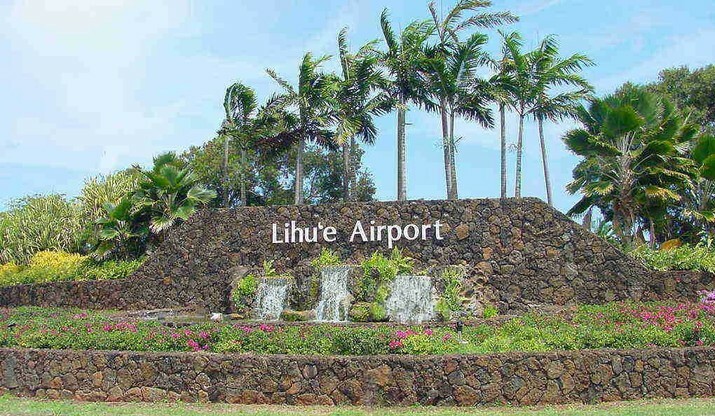 Lihue Airport is the primary airport on the Island of Kauai. We handle both overseas and interisland flights. Kauai is home to beautiful beaches, exciting water sports, Waimea Canyon and has lots of the Aloha Spirit. We look forward to welcoming you to Kauai. Waimea Canyon, also known as the Grand Canyon of the Pacific, is a large canyon, approximately ten miles (16 km) long and up to 3,000 feet (900 m) deep, located on the western side of Kauaʻi in the Hawaiian Islands of the United States. Waimea is Hawaiian for "reddish water", a reference to the erosion of the canyon's red soil. The canyon was formed by a deep incision of the Waimea River arising from the extreme rainfall on the island's central peak, Mount Waiʻaleʻale.